Boasting indoor and outdoor swimming pools, a spa, a tennis court and a private marina, The Moorings at Metung offers waterfront accommodation on Bancroft Bay. Guests enjoy free WiFi and some rooms featuring a balcony with lake views. 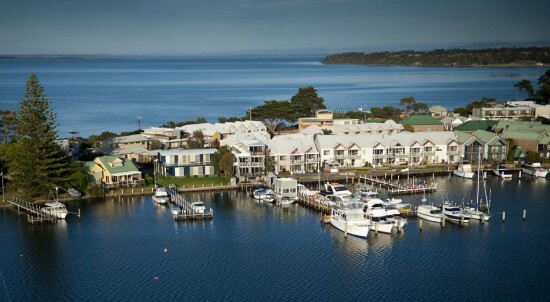 The Moorings at Metung is located in the town centre and is 10 minutes' walk from the Metung Yacht Club. Kings Cove Golf Course is a 7-minute drive away. The air-conditioned apartments feature a lounge area with a flat-screen TV with cable channels and a DVD player. They offer outdoor furniture, a fridge and ironing facilities. The en suite bathroom has free toiletries and a hairdryer. Guests can stroll along the lakeside boardwalk or try their hand at fishing in the lake. You can also prepare a meal in the BBQ area.